Private collection, Lyon, France (? ), or from the artist? ; Mr. Poyet [probably Galerie Alfred Poyet], Paris ; with Sam Salz, New York, by 1952; sold to Louis E. Stern, New York, March 17, 1952 ; bequest to PMA, 1963. 1. The provenance provided by Salz to Stern cites the exhibition "De l'impressionisme à nos jours", Lyon, 1942. This painting was almost certainly no. 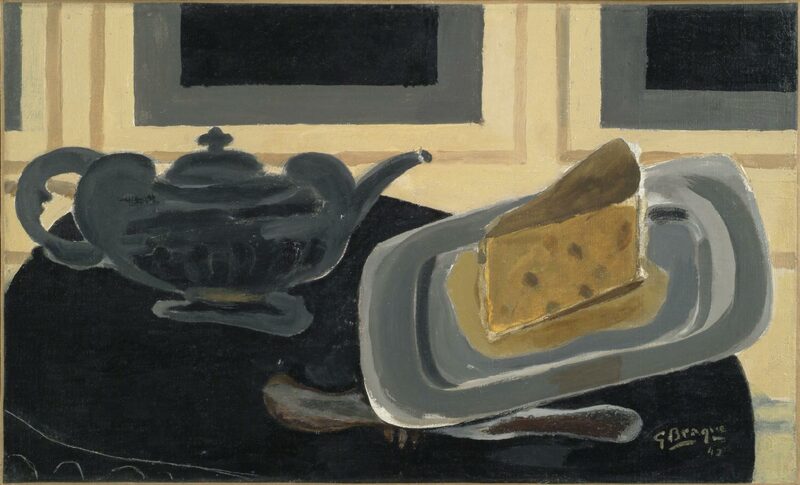 4, "Nature morte: L'heure du thé". Although it is not illustrated, the dimensions and placement of the signature and date match the PMA painting; moreover the Maeght catalogue does not list any other paintings matching this description other than the PMA work. The exhibition catalogue states that all of the paintings exhibited belong to Lyonnais collectors. 2. The provenance provided by Salz to Stern simply states "From the artist"; however, the Maeght catalogue, Paris, 1960, no. 24, states that the painting was formerly in the collection of M[onsieur] Poyet, Paris, probably to be identified as Galerie Alfred Poyet, which dealt in modernist works in the 1940's. The Louis E. Stern Collection catalogue, PMA, 1964, no. 14, p. 180, gives the provenance as "the artist; M. Poyet, Paris; Sam Salz, New York." None mention a Lyon owner. Maurice Covo, president of Renou & Poyet, Paris, states in a letter of 27 February 2003 (curatorial file) that although his firm has been unable to locate this painting in their records, Mr. Poyet's relationship with Braque was well known, and he had occasion to buy directly from the artist. 3. Copy of dated receipt from Salz to Stern in curatorial file.